On May 7th 1945 dozens of people were killed by German fire on the Dam Square in Amsterdam, only two days after the armistice. Through word of mouth people assumed that Amsterdam would be liberated that day by allied forces. Thousands streamed to the Dam Square to celebrate. Many photographers were present to document this event, but German forces opened fire after skirmishes with the Dutch provisional forces. The large number of photographs makes it possible to reconstruct this drama. A 07:05:1945: layer will be added to the 07:05:2013: Dam Square consisting of historical objects that played a central role and a reenactment on May 7th that will recapture this tragedy. I created a ghostly physical after image of street organ "het snotneusje". This organ can be seen in the historical photographs to protect a group of people hiding from incoming bullets. The original, still in existence organ was measured, photographed and 3D scanned and painstakingly digitally recreated for CNC fabrication. A replica was milled out of foam and coated for protection from the elements. I also created a pair of graphics showing the firearms used in the attack, one used by the Germans, one in defence. 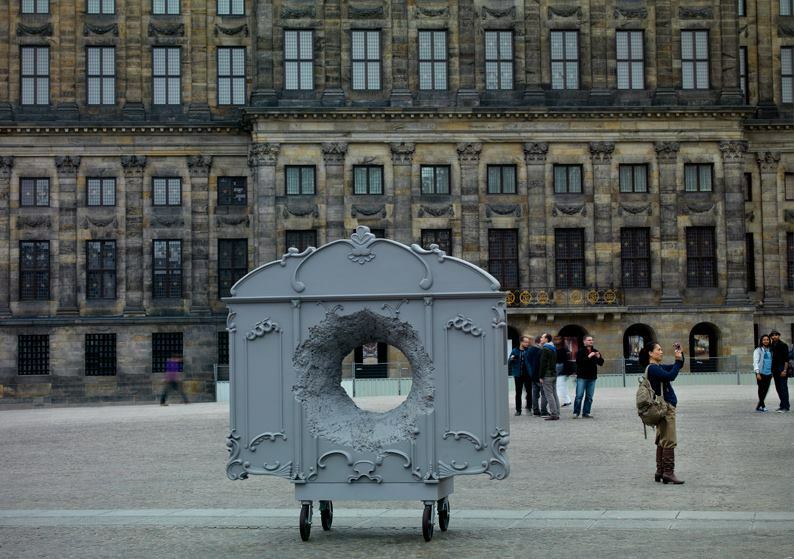 These were displayed in one of a pair of kiosks recreated from historical data in the original location where they stood in wartime Amsterdam. 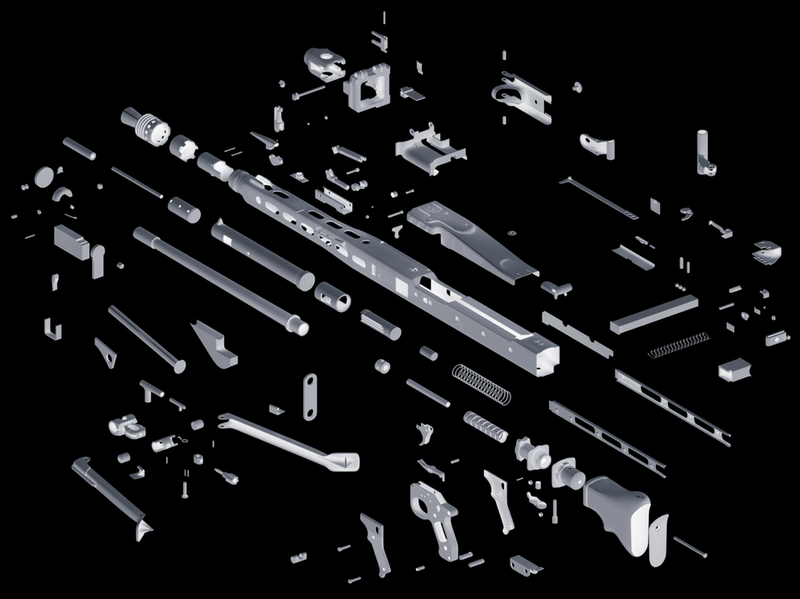 These show the weapons, both assembled and in exploded view, intermingled, parts of either gun indistinguishable from the other.